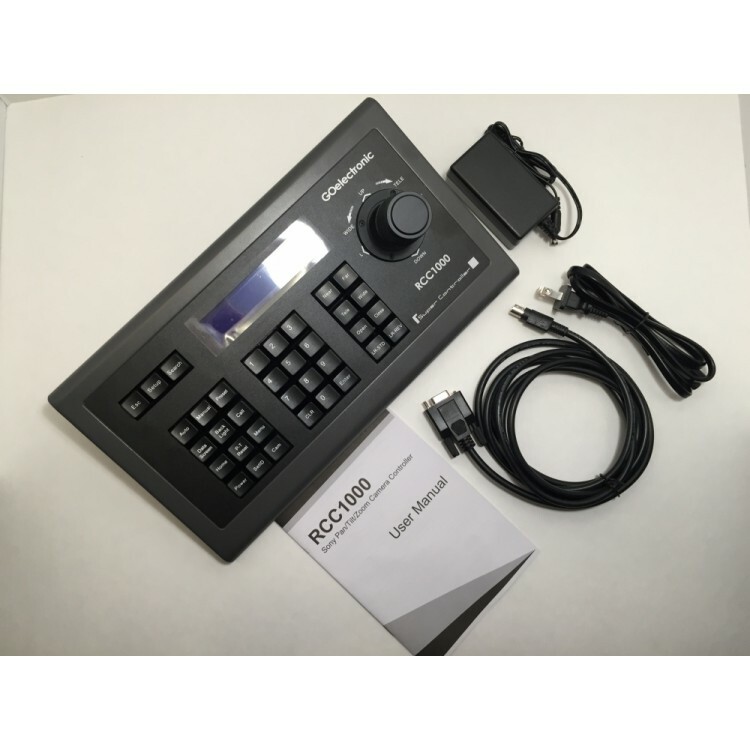 The RCC1000 controller is designed for Sony pan tilt zoom cameras and supports VISCA protocol (meaning it will work with any Sony PTZ camera...EVI, BRC, or SRG series)). 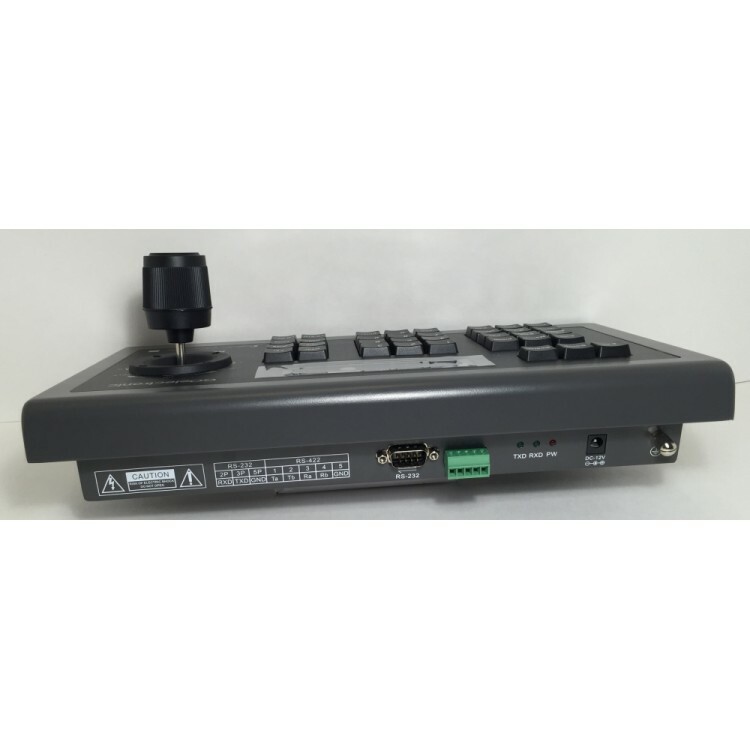 It has almost all of the functions of the Sony PTZ camera handheld IR remote and adds a touch sensitive joystick control. In addition to the joystick and keyboard, the controller has a small screen for displaying commands and the camera's working status. 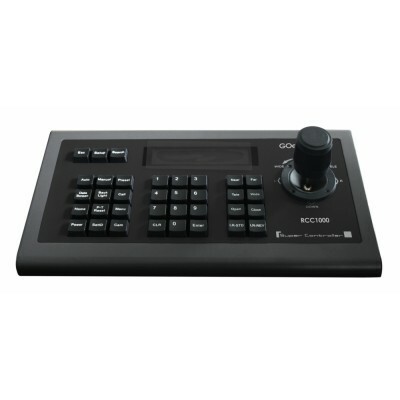 Offering similar functionality this controller is a great alternative to the Sony RM-BR300. Not only will it control Sony branded cameras but it will also control just about any PTZ camera using the VISCA protocol. For example it works with all the Hitachi PTZ cameras as well (VZ-HD3600A, VZ-HD3650A, VZ-HD3700A, VZ-HD3780A).